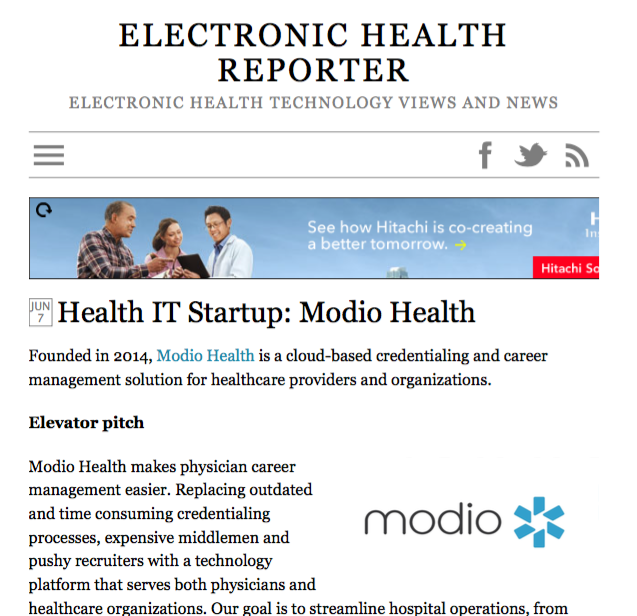 Modio Health was recently featured on Electronic Health Reporter, which features a collection of stories about healthcare technology startups and the people that make these stories possible. Built by physician, credentialing, and technology experts, Modio makes doctor credentialing and career management simple, transparent and efficient. We decrease credentialing time, eliminate lapsed licensure, reduce administrative burdens, and save on costs. Modio isn’t just here to fix the healthcare industry — we’re here to transform it. Have more questions about what Modio can offer you? Give us a call today @ 844.696.6346.